The Nano's extremely low profile, snag-free design makes it easy to carry and draw from concealment. 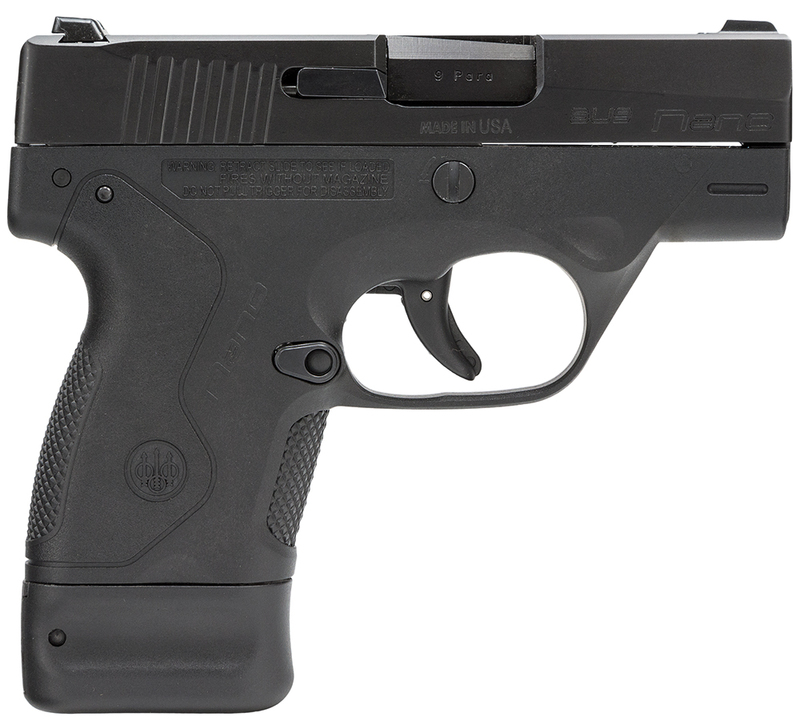 Utilizing a removable, serialized sub-chassis the Nano pistol can be easily modified with replaceable grip frames and is simple to disassemble and maintain. The light, durable frame employs thermoplastic technology through the use of fiberglass-reinforced techno-polymer. The Nano's sights are user-adjustable with a 1.3mm hex wrench. To accommodate right or left-handed use, the Nano's magazine release button can be easily reversed. Modular structure, ergonomics and ease of use make the Beretta Nano the ideal firearm for concealed carry. Made in the USA, the Nano frame is available in multiple colors.